It’s only been two months since Agent Joseph faced masses of zombies while locked inside of a prison. Now, he has a new mission. This one is so big that half of all CHEMO is being mobilized. 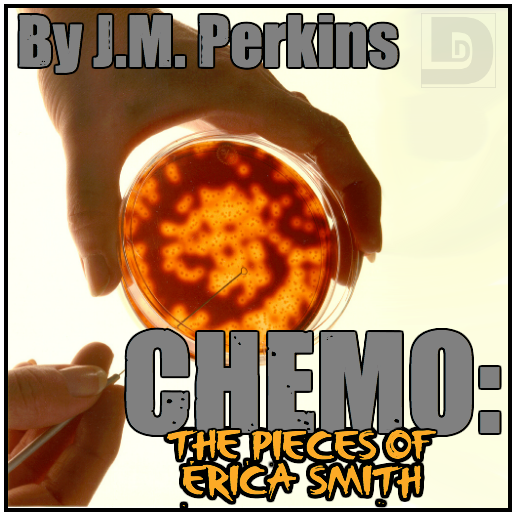 They have to destroy every last piece of the immortal cell line that spawned out of a tumor grown on a woman named Erica Smith. Afterwards, Big and Rish talk CHEMO, get a lot of text messages, and giggle far more than is professionally acceptable. Beware, there’s probably something offensive in all of that…we’re not sure what, but we’re pretty sure it’s there. Special thanks to Wendy Cooper for producing today’s story, and to Clay Dugger for lending his voice to today’s episode. Photo by Pacific Northwest National Laboratory. Music was Pyraminx by Roger Subirana Mata and Omnipresence by Dereleech. This entry was posted on October 29, 2012 at 12:11 pm and is filed under Action, Horror, J.M. Perkins, Science Fiction, Short Story. You can follow any responses to this entry through the RSS 2.0 feed. You can skip to the end and leave a response. Pinging is currently not allowed. 1) Great use of incidental music! 2) You guys are unbelievably silly — in a fascinating way. Finally got a chance to listen and ah man, I loved this episode. You guys are silly and hillarious and now I feel really bad about getting delayed in sending you your copies :/. But seriously, awesome job with the story and your trademark Dunesteef self deprecating irreverence.